The annual castle comp got off to a tasty start, with two entries being cake castles - the time and effort put into both cakes is exceptional and raised the bar for other entries. All of the entries were fantastic and it was very difficult to place the entries. With a lot of toing and froing we managed to narrow it down and place the top 5. 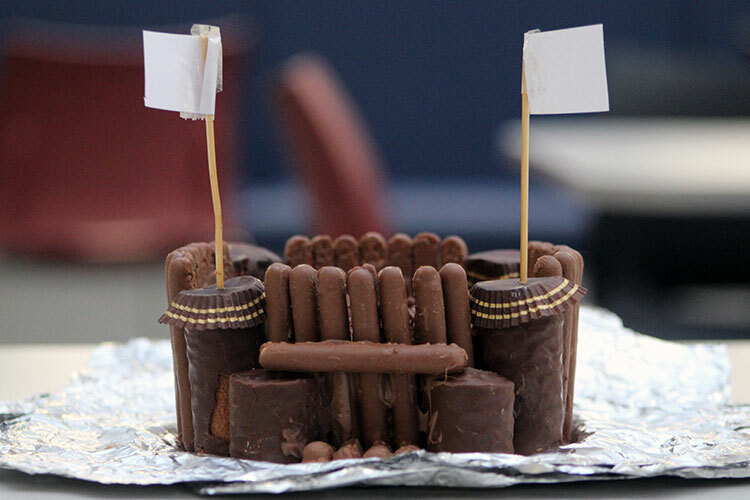 With a last minute entry gaining 5th place – the waffle castle with a brownie base. Well done to all who entered. What will the 2019 Castle Competition bring?